If you're comparing air conditioners, furnaces, appliances or certain electronic devices, you'll likely see the labels "blowers" and "fans" used in the product descriptions. There is a distinct difference between blowers and fans, and knowing that difference can help you choose the best product for your needs. Propeller blades are common in fans, but they aren't used in most blowers. The "specific ratio" of a fan or blower is the ratio of discharge pressure over suction pressure. In other words, it correlates to the amount of air the device is able to move. Fans have a ratio of up to 1.11, while blowers have ratios between 1.11 and 1.20). In short, blowers create more airflow than fans. Blowers are typically bigger. While they move more air, blowers are impractical for certain smaller items or airflow systems. Standard propeller blades are rare for blowers, and the units often use a larger and more complex centrifugal device. 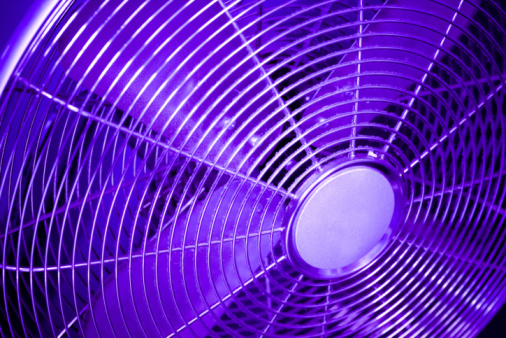 Depending on the fan or blower manufacturer, energy efficiency varies. A fan, however, usually consumes less energy than a blower.